Bath bombs can be a little intimidating to make, my first few batches would fall apart constantly. After messing with a few different bath bomb recipes, I finally found one that I loved and has been an easy no fail one for me! 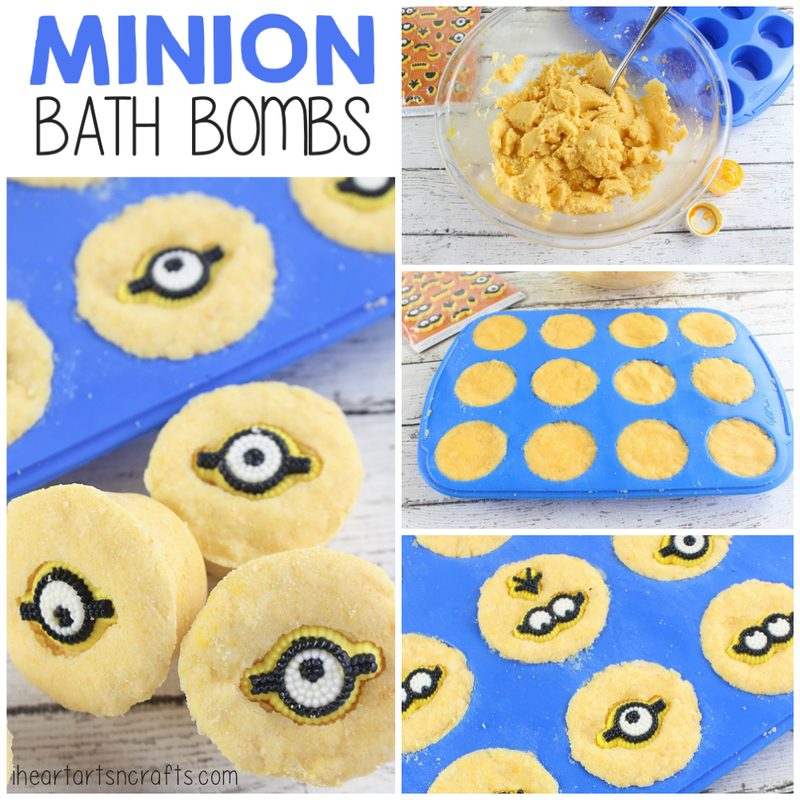 Here’s a fun bath bomb recipe that you can whip up for the kids for a little bath time fun! 1. Preheat oven to 140°. 2. 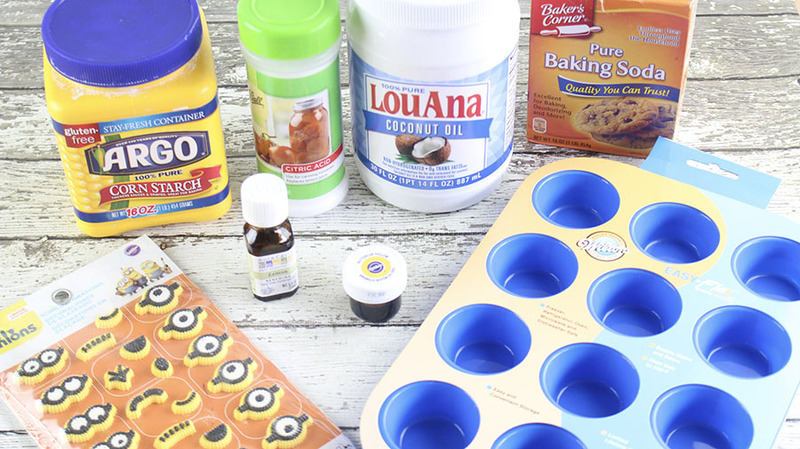 Add the baking soda, cornstarch, coconut oil, citric acid, lemon essential oil and yellow coloring into a glass or metal bowl. Stir until well incorporated. 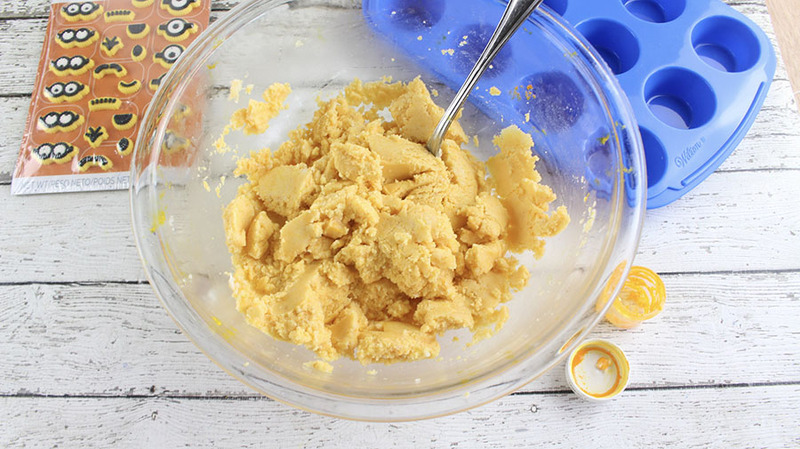 The mixture should resemble the consistency of sand. 3. Transfer the bath bomb mixture into their molds. Pat down firmly. 4. 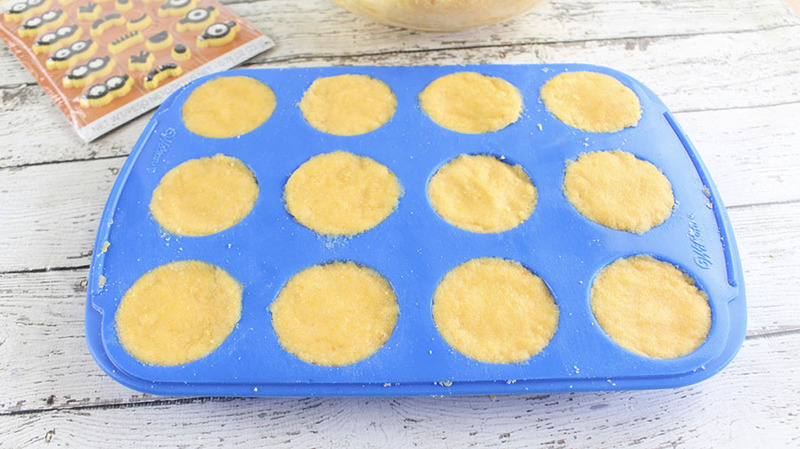 Put the silicone mold on a cookie sheet and place in the oven. Turn the preheated oven OFF and leave the mold in the oven for 1 hour, keeping the door closed. 5. 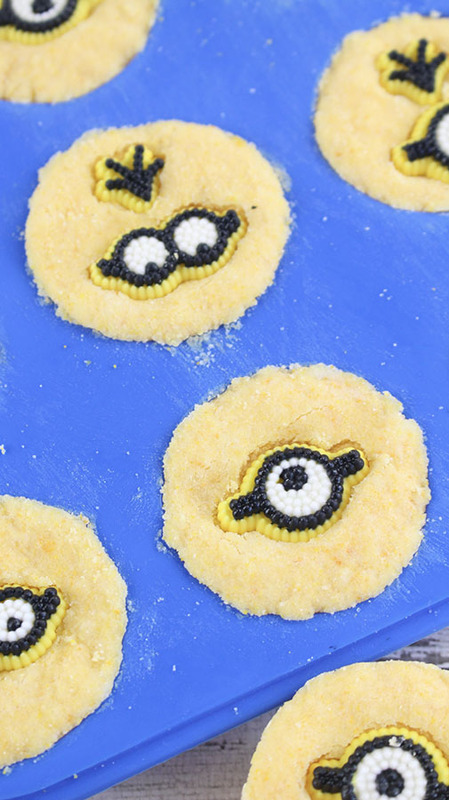 Remove the silicone mold from the oven and immediately place a minion sugar decoration on top of each bath bomb. Press down firmly. Allow the bath bombs to cool in their molds for 2 hours. 6. Carefully pop each bath bomb out of its mold and allow to air dry overnight. 7. Store in a mason jar or other glass, airtight container. 8. Use a bath bomb by dropping into your warm bath water. 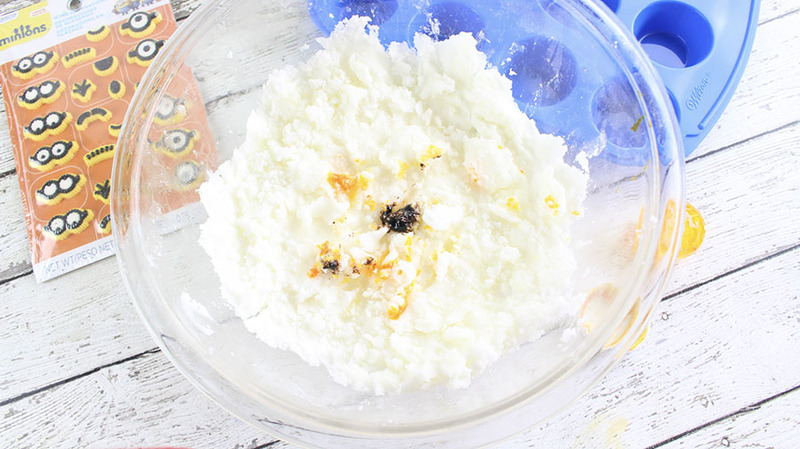 As it dissolves, enjoy the fresh and energizing scent of lemon and the moisturizing coconut oil!